What’s new? 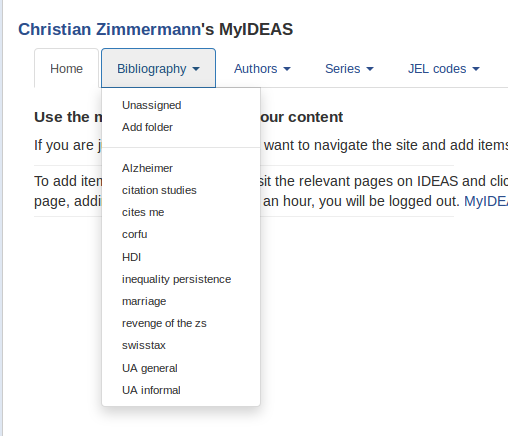 MyIDEAS has a fresh layout and it is now much easier to add items to it. 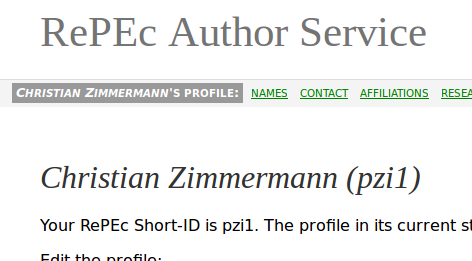 New functionalities are coming soon, too. The look of the rankings has been refreshed as well, along with more information. 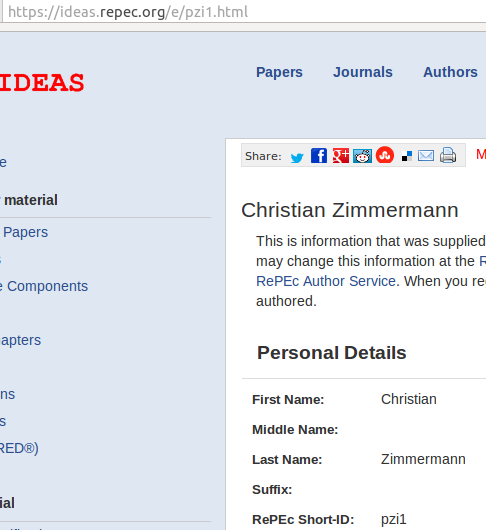 And we have started an initiative to increase the proportion of items for which we can perform citation analysis. We have welcomed the following new participating RePEc archives: Bournemouth University, Path of Science, Croatian National Bank, Publishing house “Knowledge and Business” Varna, Instituto Politécnico Nacional. And we counted 394,018 file downloads and 2,291,145 abstract views over the month. 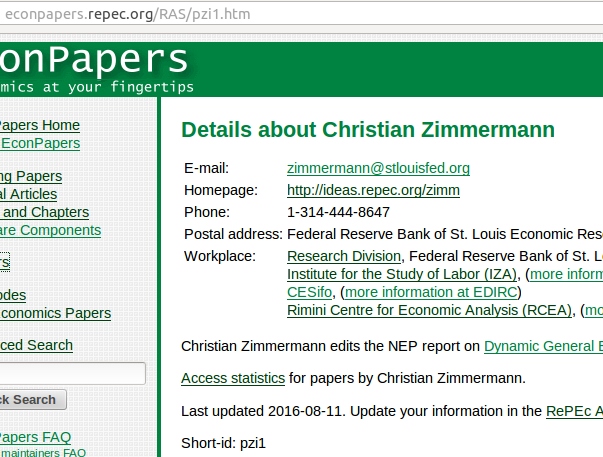 You are currently browsing the The RePEc Blog blog archives for August, 2016.